Welcome to Earth Analytics Python - Week 3! Import text files that are tab delimted and comma separated into pandas. Calulate the return time for a flood event. Handle missing data values in pandas. NOAA / National Weather Service precipitation data. 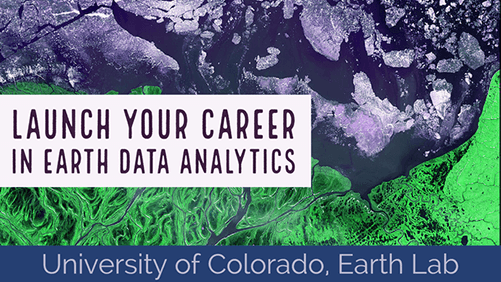 All of the data you work with were collected in Boulder, Colorado around the time of the 2013 floods. Read the assignment below carefully. Use the class and homework lessons to help you complete the assignment. After you have downloaded the data for this week, be sure that your directory is setup as specified below. If you are working on your computer, locally, you will need to unzip the zip file. When you do this, be sure that your directory looks like the image below: note that all of the data are within the colorado-flood directory. The data are not nested within another directory. You may have to copy and paste your files into the correct directory to make this look right. Your `colorado-flood` file directory should look like the one above. Note that the data directly under the colorado-flood folder. When the instructors grade your assignments, we will be able to run your code if your directory looks like the instructors’. It will be easier for you to follow along in class if your directory is the same as the instructors. Your notebook becomes more reproducible if you use a standard working directory. Most computing environments have a default home directory. It is good practice to learn how to organize your files in a way that makes it easier for your future self to find and work with your data! Please visit CANVAS for the assignment and grading rubric. Below are examples of what your plots should look like. Note that you can modify the colors, style, etc of your plots as you’d like. These plots are just examples to help you visually check your homework. Homework plot of Monthly max discharge data. Homework plot of Daily max discharge data. Homework plot of Monthly total precipitation data. Homework plot of Daily total discharge data. Note: to plot the y axis on a log scale use the argument: logy= True in your pandas .plot() call. If you use matplotlib to plot the data then you will want to calculate the log value in a new column and plot that. Probabilty of Stream discharge events plot. Return period for stream discharge events plot. Probabiltiy for precipitation events plot. Return period for precipitation events plot.